Evangelism – Cutting through the noise: getting eyeballs on your digital publications. You labor on your concepts, your content and design. 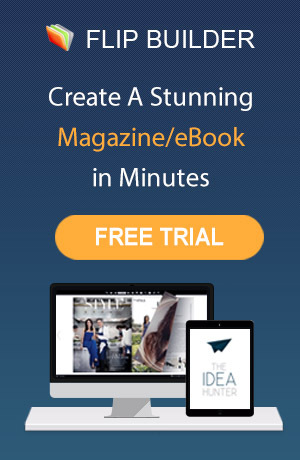 They you have the good sense to convert your publication into a vibrant and media rich flip book. Who is going to see your masterpiece? BUT SO WHAT!!! You have all these cool places for people to go, AND NO ONE to go there. How does someone who is not wired to market and build an audience get an audience? The answer is simple in theory and challenging in application. Anyone can manage it, but it must be done with finesse. What you need to do to get on the path of the well read and well received is… Find evangelists. Evangelists are the modern make or break pieces to the online marketing puzzle. As the world of social continues to grow astronomically and the voices of many become greater and greater it is the evangelists who continue to reign supreme. The Guy Kawasakis and the Robert Scobles of the tech world, the Elsie Larsons and Katie Bowers if the DIY world; these voices are not only heard by many, but their posts and thoughts are shared by many and seen by many many more. To get the word out on your own can be expensive and/or brutally time consuming. To get a few of the most prolific evangelists in your sector to first appreciate then share your work, well that is the big win that will get you more eyeballs than you know what to do with. So who are the big voices in your community? Do you know? You should, and they should become your best paths to lots of views. Go find them, now, if you have not already stopped reading and started searching. Adding videos to websites and digital publications. Guest post: Should Each Franchise Have Its Own Social Media Strategy?